At Walden Pond, Henry David Thoreau reflected on simpler living in the natural world. By removing himself from the distractions of materialism, Thoreau hoped to not only improve his spiritual life but also gain a better understanding of society through solitary introspection. In Walden, Thoreau condenses his two-year, two-month, two-day stay into a single year, using the four seasons to symbolize human development—a cycle of life shared by both nature and man. 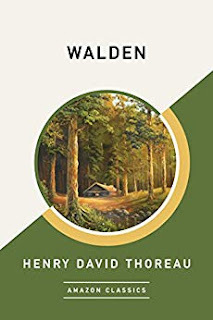 A celebration of personal renewal through self-reliance, independence, and simplicity, composed for all of us living in “quiet desperation,” Walden is eternal. My Life, Deleted—part love story, part medical mystery, and part inspirational memoir—is the true story of Scott Bolzan, the 46-year-old former pro football offensive lineman for the Cleveland Browns who suffered permanent amnesia after a tragic accident. 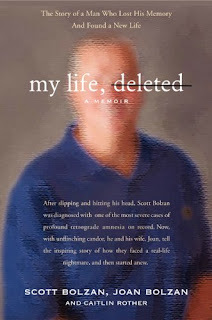 Co-written with his wife Joan Bolzan, this riveting account details Scott's courageous fight to build a new life after losing all memories of his past, his wife and children, his likes and dislikes, and even how to navigate the fast pace and technology of the 21st century.